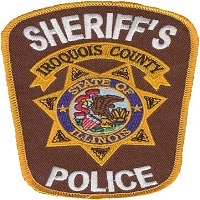 On September 16th , 2018, Iroquois County Sheriffs Police arrested Sean J. Jordan, age 42, of Chebanse, IL. According to police reports, Jordan was charged with domestic battery. Jordan was transported to the Iroquois County Jail where he remains in lieu of bond. On September 17th , 2018, Sheldon Police arrested Mercedes Marquis, age 27, of Sheldon, IL. According to police reports, Marquis was wanted on an outstanding warrant out of Missouri. Marquis was transported to the Iroquois County Jail where she remains in lieu of bond.